Prestige Exchange and discount offer. Valid from 15th April to 30th Jun. Get 15-33% offer on pressure cookers. 22 to 63% offer on cookware. 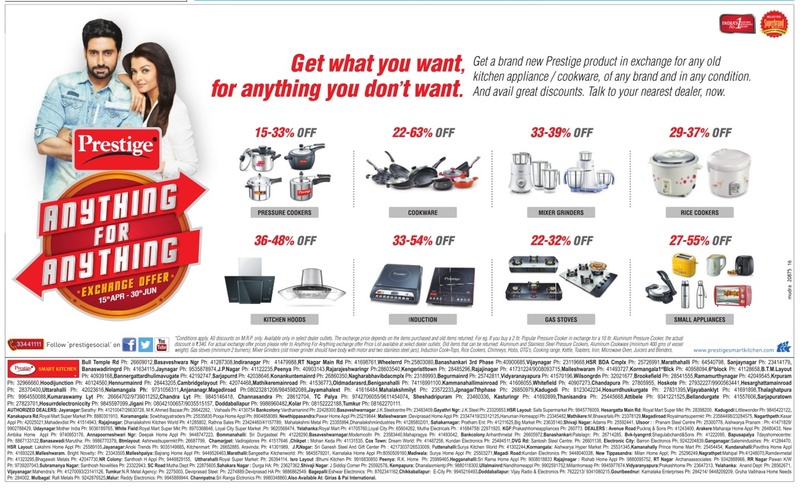 more discounts on mixer grinders, rice cookers, kitchen hoods, induction, gas stoves, small appliances. Customer care contact number: 33441111.